Silahkan klik tulisan atau gambar untuk lanjut membaca Indonesian Groups Call for Minority Religious Protections. JAKARTA, LELEMUKU.COM - Interfaith and human rights groups gathered in Jakarta, Indonesia, this past week to show their support for Meiliana, an Indonesian Buddhist who was sentenced to 18 months prison in August for complaining about the volume of the call to prayer in the town of Tanjung Balai, North Sumatra. Suhadi Sendjaja, the chairman of Buddhist organization Niciren Syosyu Indonesia, said, "This is a ruling not from Islamic authorities, but from a law issued by the president … it is not only for Chinese people, or for Christians, or Buddhists, but also for adherents of Islam." Blasphemy has technically been illegal in Indonesia since 1965, when it was made a crime to criticize, be hostile to or adhere to "deviant" interpretations of one of the nation's six official religions: Islam, Christianity, Catholicism, Confucianism, Buddhism and Hinduism. Its use, however, has risen exponentially during Indonesia's democratic era — particularly since the presidency of Susilo Bambang Yudhoyono, who was elected in 2004. He served for 10 years. Amnesty says at least 106 people were sentenced under blasphemy charges between 2005 and 2014. Prosecutions have disproportionately targeted minorities — particularly the Shia and Ahmadiyya communities that are considered "deviant" by the Sunni Muslim majority. In May 2017, the country saw its most high-profile conviction yet — former Jakarta Governor Basuki "Ahok" Tjahaja Purnama. The widely popular ethnic Chinese Christian was sentenced to two years in prison after he was found to have insulted the Quran, following months of mass demonstrations by Muslim groups. "The Meiliana case reflects the rise of religious sentiments in the lead up to [North Sumatra's] gubernatorial election," she told VOA via email. "Their rulings on perpetrators from the majority group are often not serious," said Irsyad, referring to the light sentencing of Islamic hardliners who attacked Buddhist temples in Tanjung Balai. "They proceed with prosecutions as a mere formality." 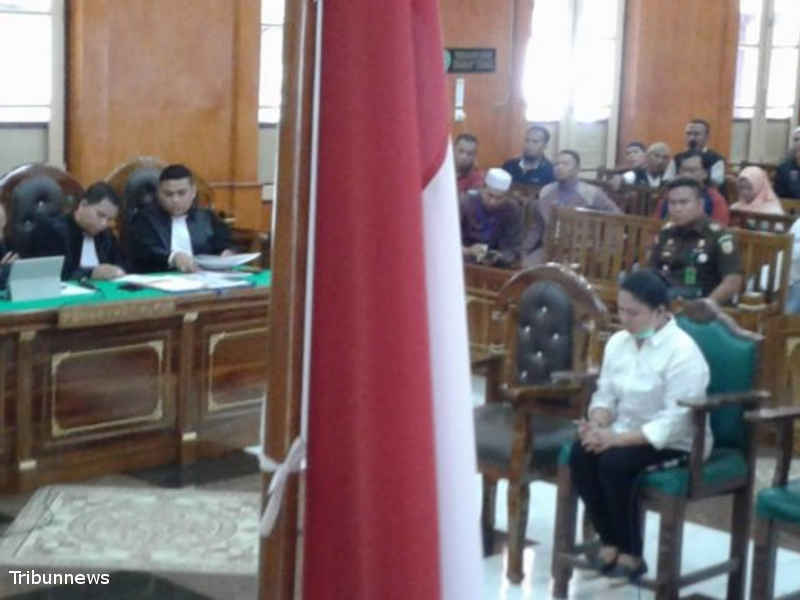 Asked about the likelihood of Indonesia's blasphemy law being overturned, Rafiqa from the University of Indonesia said, "It would be very difficult because two judicial reviews have already been submitted and both of them failed." The conservative Constitutional Court denied a petition to repeal the law in July.